Clinton Township Sports Guards | Mark D. Berman, D.D.S. & Associates P.C. 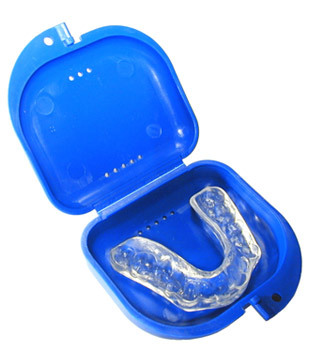 Mouth guards and bite appliances have many uses. The most common reasons that they are required are for contact sports and nighttime teeth grinding. Our specialists are ready to help you find the right appliance for your safety. A good sports guard allows you to continue playing the sports you love without the worry of having to undergo complicated procedures to repair or replace damaged or lost teeth. Let us help you find the protection you need. Some people often wake up in the morning with intense headaches and jaw pain. This may be due to a condition called Bruxism, in which an individual grinds their teeth in their sleep. Preventing long term damage is as simple as getting a custom bite appliance from the team at our office. If you need more information about Guards, Bite Appliances in Clinton Township, contact us today.